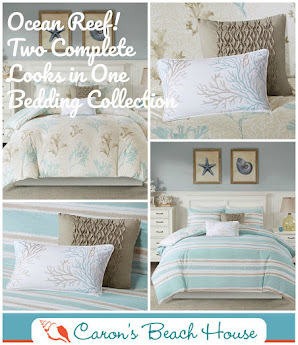 Everything Coastal....: Time for a Coastal Bedroom Redo. 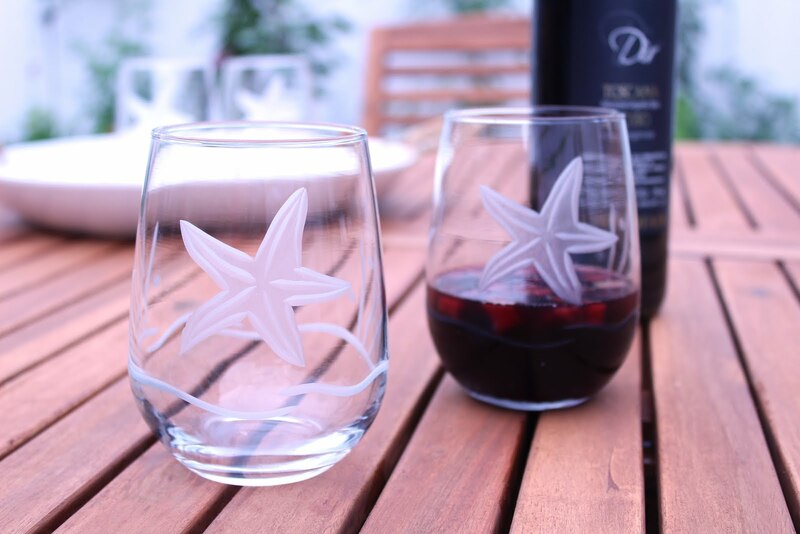 How about a Nautical Theme? 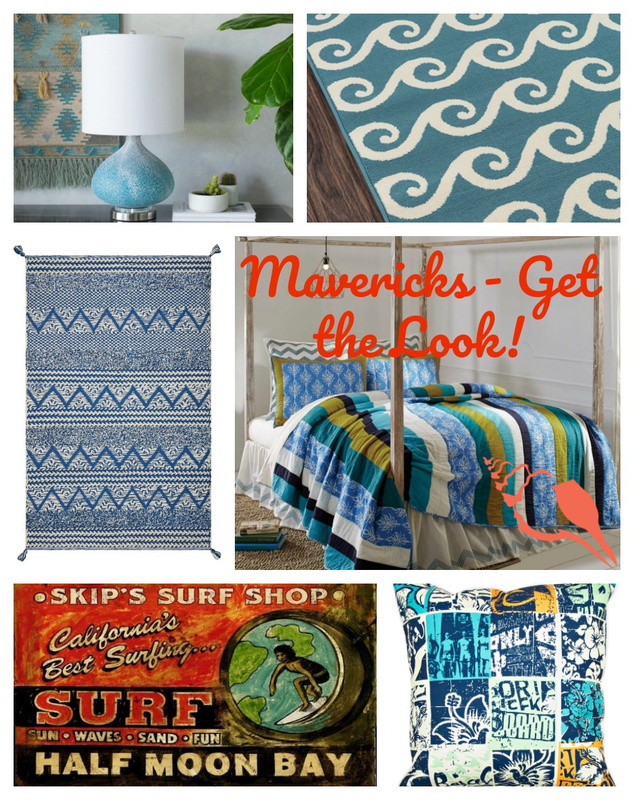 Time for a Coastal Bedroom Redo. 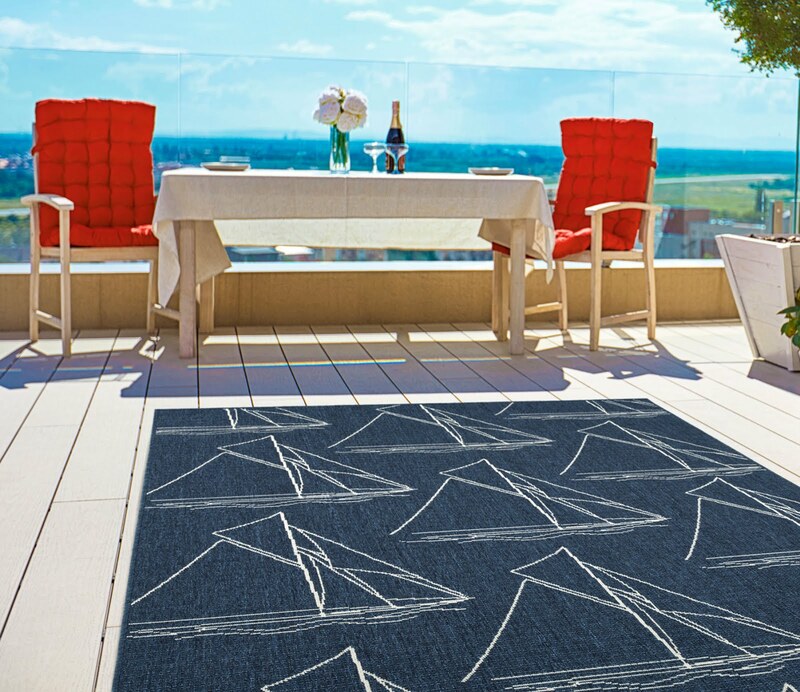 How about a Nautical Theme? 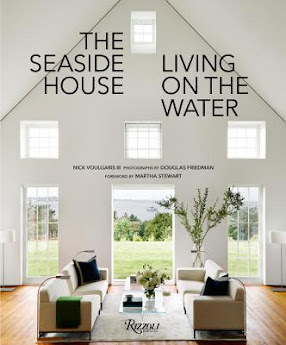 What better way to begin a New Year than to change up your very own private retreat? I need my bedroom space to recharge my batteries. You know what I mean? 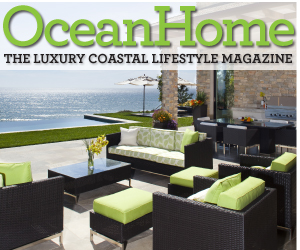 Space to spread out and check out the latest Coastal Living Magazine, or maybe just simply dive into a big juicy novel. After I get all of the Christmas decorations put away, (our bedroom is the storage area during the holidays) I can finally begin to see the light and am ready to try something new for 2014. Not sure yet exactly what I want to do, but here's a few ideas that I have been collecting! Ah...peaceful and fresh feeling with all of the white bedding. 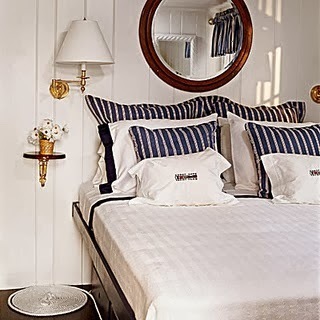 Crazy about the navy blue and white striped headboard and matching bedskirt. 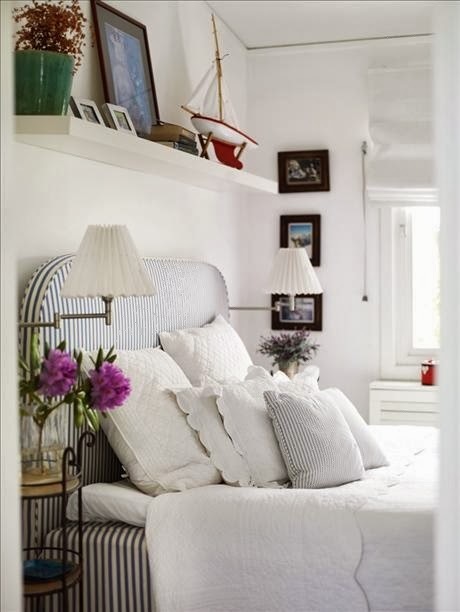 Wonderful use of space with the shelf above the bed too! Really, really like this! 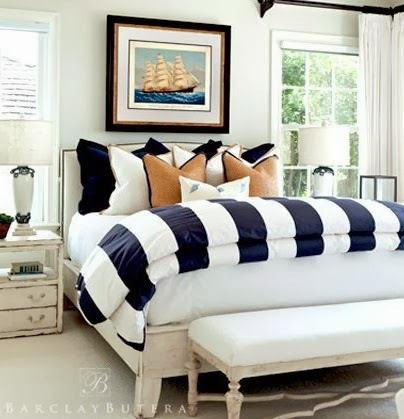 A slight "British Colonial" feel, with nautical black and white art countered against all of the red and white. 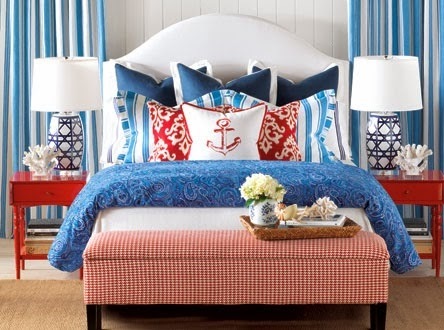 The signal flag pillows add just the right extra nautical punch. Great room from Joy Tribout Interiors! Love this sophisticated room in the Hampton Showhouse! 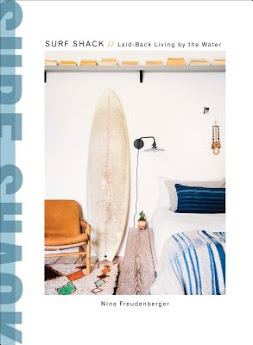 Don't think that there is any way that Tom would go for the wave canopy bed in our tiny bedroom. Cool pillows and digging that indigo blue wall. 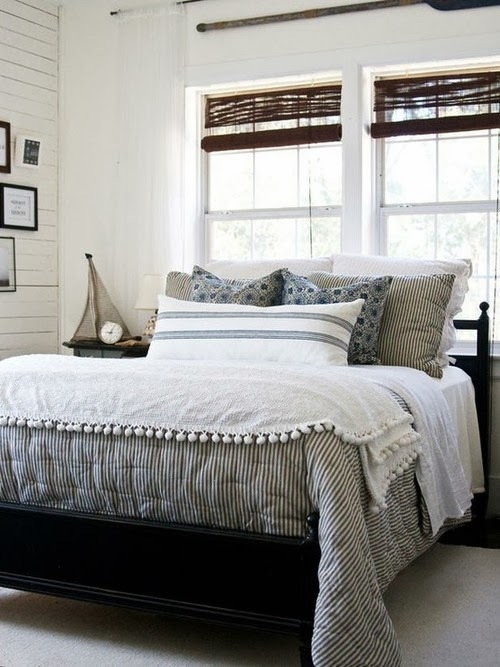 Sailor Style from Coastal Living. Love the subtle shades of gray blues and white. 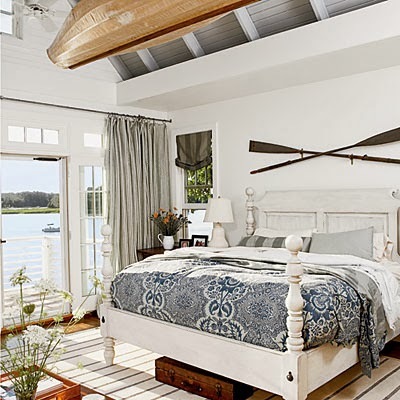 Great use of vintage oars on the wall. I do not like the canoe on the ceiling - would lay awake all night waiting for it to fall down. Nope, would not work for us! Or how about this idea? My very own yacht stateroom! 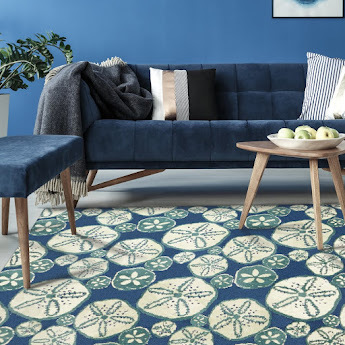 From Coastal Living, this would be great for a small space with the fun brass wall sconces and round porthole like mirror. 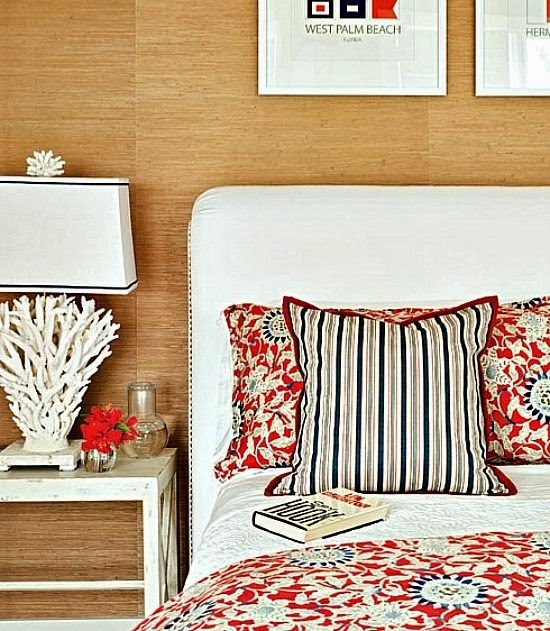 Have always wanted a padded headboard for our bed...those are some great images/ideas! Also love the canopy, but that won't fly here, either, for several reasons (I can just see our cats climbing up those beautiful fabric panels)! 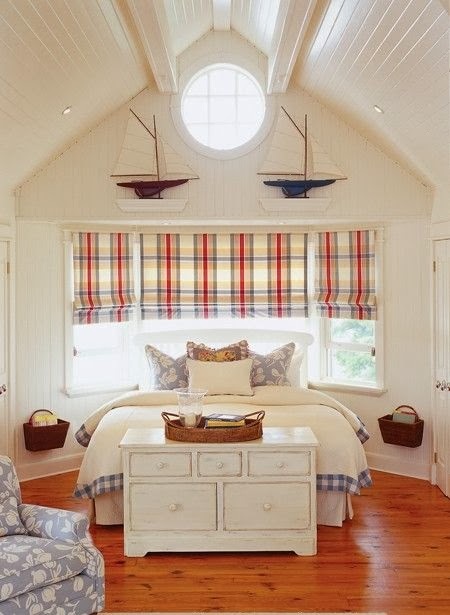 Beautiful and awesome decorations on nautical theme. I am totally impressed from your decorations and want to decorate my home in the same way.